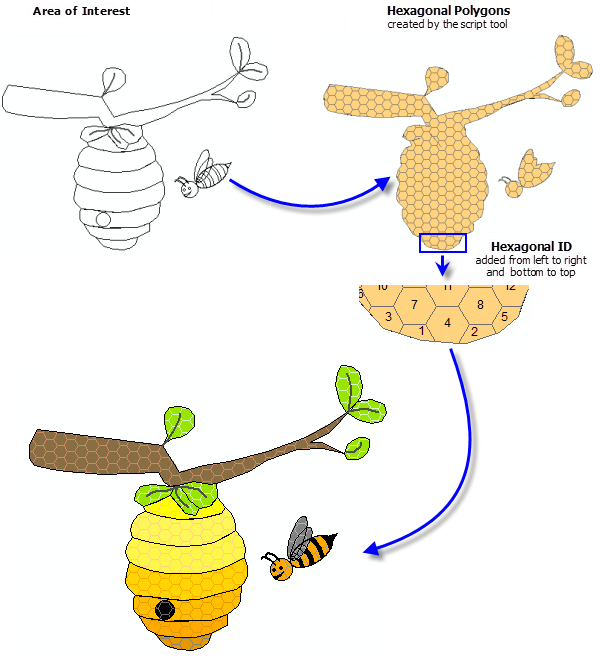 The 2D Beehive tool creates a hexagonal polygon feature class for various applications such as wildlife management etc. or for data binning e.g. to map large point-based datasets as explained here. Download the tool from here. The tool also adds the hexagon ID, based on a polygon’s spatial location, starting with the bottom left hexagon and going left to right and bottom to top (see image below). The output can be clipped to any area of interest or used as input in other analysis tools.